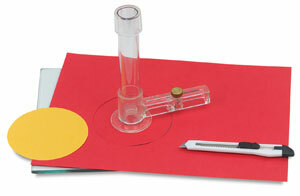 The Neil Creativity Cutter is the easiest and most economical way to cut accurate circles! 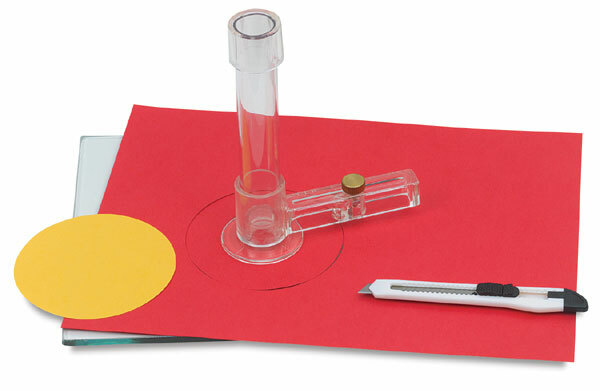 Just place it on top of the paper to be cut, adjust the measurement arm to the desired size, and rotate the arm. You can cut any size circle from 2-1/4" to 7-3/8" (5.7 cm to 18.7 cm) in diameter. The Creativity Cutter holds any standard "snap-off" knife.